For every Time-Attendance solution, the software used is at its core. While selecting the Time-Attendance solution for your organization, it is important that you identify your needs and evaluate whether the software will be able to meet them or not. You should also confirm whether the software is flexible enough to accommodate your local laws, industry standards, industry size, etc. You should also make sure that the software is flexible enough to operate from anywhere and at any time. Furthermore, you will also be required to verify whether the solution is flexible enough to adapt to your existing leave and attendance policies. Employee data is always important, not just on a temporary basis but on a long term basis as well. 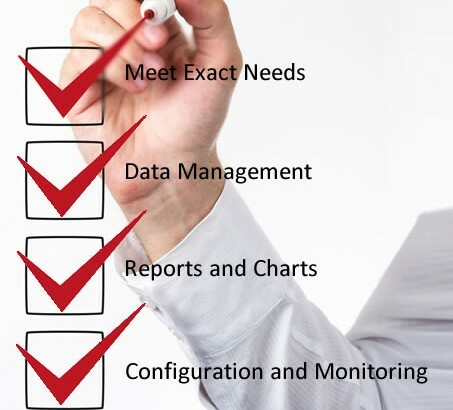 Hence, while selecting a Time-Attendance solution, it is important that you verify whether the solution provides you with proper data management features or not. For HR personnel, reports and charts of employee data is very important, especially when working out payroll, overtime, attendance regularity, etc. Hence, the solution you select should be such that it provides you with informative, easy-to-interpret reports and in formats that are popular and commonly in use like MS Excel. Easy hardware and software configuration is an important feature that you must verify in a solution during the selection process. Further, the solution you choose should also provide you with easy monitoring features such as user attendance details, holiday list, etc. One of the most important things with respect to a Time-Attendance solution is evaluating whether the vendor from whom you will be purchasing the solution will provide you with after-sales support. You should also understand the software upgrade policies. An organization always keeps growing, so will the number of employees. Hence, when you are selecting a solution, it is important you check how scalable it will be. You should select a Time-Attendance solution that is scalable enough to meet with your future needs. Design of the hardware you install should also be checked, not just from aesthetic point of view but also for ease of use, audio-visual notifications, etc. Your organization will have different connectivity requirements such as through Ethernet, Wi-Fi, mobile broadband, PoE, etc. Your Time-Attendance solution selection should verify whether the solution will be able to meet your connectivity requirements or not.